The Solo Cube measures 5 1/4 inches square and 1 7/8 inches deep and the Solo Rectangle measures 4 3/4 inches wide, 6 3/4 inches long and 2 inches deep. 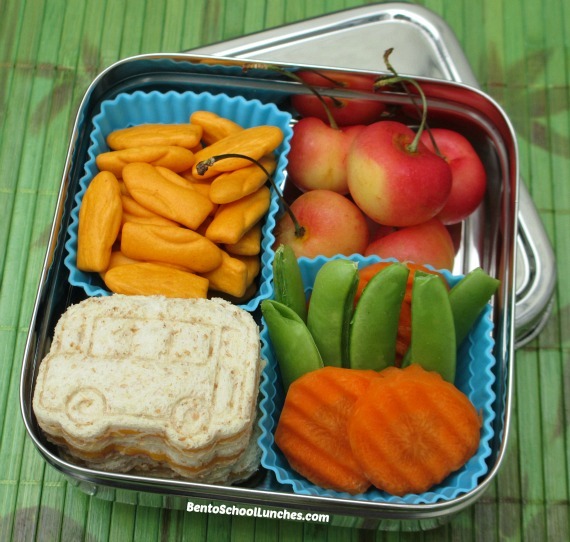 Here is a lunch packed in the ECOlunchbox Solo Rectangle. All natural, No food coloring Torino Farfalline pasta with basil pesto and flower shaped carrot pieces. 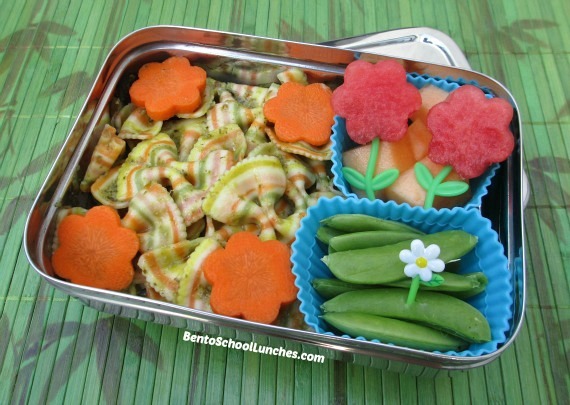 Cantaloupe pieces and watermelon shaped flowers. 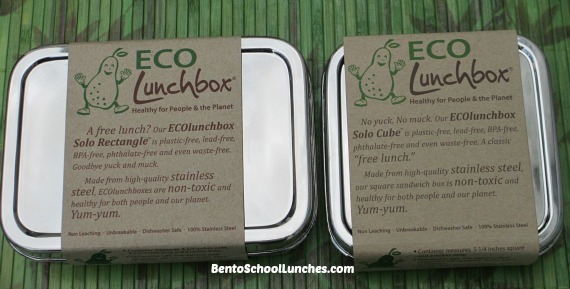 Here is a lunch packed in the ECOlunchbox Solo Cube. Bus shaped sandwiches, stacked. I used our bus shaped cutter and stamp set and they are so easy to use. Crinkle cut carrot pieces and sugar snap peas. Here are the containers with their lids. And here are the containers when we first received them. Disclosure: ECOlunchbox generously provided me with the products for review without cost to me. Other than receiving the products, I have not received any compensation to write this review. Wonderful review and I love your lunches, especially the pasta lunch. Yummy lunch!! Lovely boxes! I got their 2 tier ones, n Nikolai is right, they are very shiny, lol. Thanks so much Ming! :) The two tiered ones looks cool too, they have so many choices. Mmmm yummy, looks so good! Love your presentation esp with the lunch in the Cube!